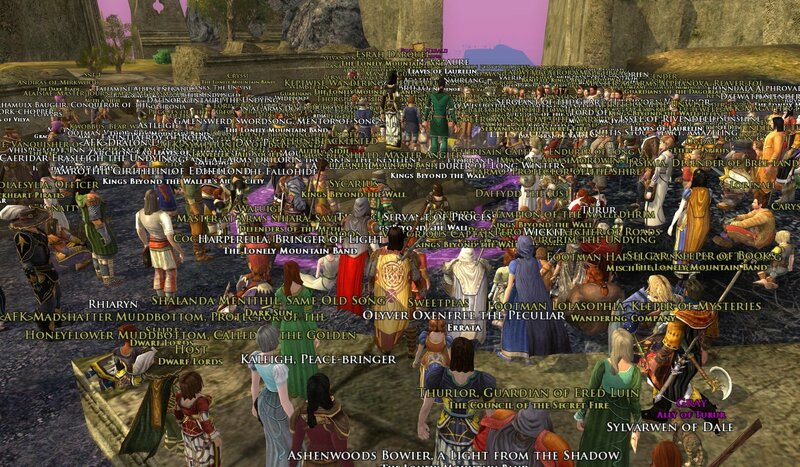 Rocking out on Weathertop for this year’s Weatherstock concert. Ah! That’s what that was. I saw the themed lotto, thought it was going to be a dev thing. Wish I had found out about it sooner, would have rolled a character and went and watched. Always neat when players arrange something like this. I really love LOTRO’s music system and it lends itself so well to these kind of events. I play lotro at “max immersion” with no numbers or names on anything. I find that the gameplay doesn’t really suffer for me at all, tho on odd occassion I will flip names on just to track down a particular npc in town.